I am super impressed with Tony and his effort to make us a great deal and deliver that deal the same day! We saw the car we purchased online and it was exactly what they said it would be! Would highly recommend them! I purchased a Toyota from out of state 400 miles away, and they were very helpful with making it happen. I ended up with an older very low mileage car, that I have been searching all over for. Mike Guistolisi and his team at Castle Subaru in Postage are great. A month ago I went to test drive a couple of Subaru's. Mike had Ron Braman take me on my test drives. Ron was very knowledgeable of both cars. I fell in love with the new 2019 Forester, and drove it home that night! 2 weeks after purchasing my Forester I drove it on a girl's road trip. We took a trip down Route 66! All the girls loved the car! Lots of room, great windows for viewing and great gas mileage! I look forward to taking many more road trips in my Forester! Thanks to Mike and Ron for making my Castle experience one that I will reccommend to everyone! Quick turnaround for an oil change and tire rotation. Purchased Subaru Outback yesterday. Ricky Cernak, salesman, awesome. Took time to show me everything and didn't feel rushed or pushed into buying anything other than what I wanted. Awesome dealership, nicest guys! Couldn't be happier. Drove home same day! At Castle Subaru, it is our commitment to show love and respect to our customers and to work to make a positive impact in the world. Here at Castle Subaru, we always strive to deliver a first-class car-shopping experience to Subaru drivers throughout Portage, Valparaiso, Hammond, Gary and Chesterton, IN. We make that possible by providing a stunning collection of vehicles, hassle-free financing and high-quality service and repairs. That’s how we’re able to serve as the one-stop shop for buying, financing and servicing Subaru cars! 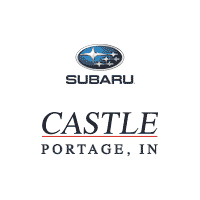 Castle Subaru is the Automotive Home for Subaru Drivers in Portage, Valparaiso, Hammond, Gary and Chesterton, IN. Some drivers step into our Portage, Indiana showroom ready to take the new 2017 Subaru they’ve been eyeing for a test drive, and even our 2018 Subaru WRX model. Others, meanwhile, are just beginning their search. Regardless, we encourage you to explore every new car we offer at Castle Subaru. If you’re looking for value, but perhaps aren’t looking for a new car, that’s perfectly fine. We certainly understand. You might be looking to head on a big trip, or want to treat yourself to something different. No matter what it is, the savings can be had via our collection of used cars. They come in many trims and variants and will keep you, and your bank account, happy. Found The Subaru Model Of Your Dreams? Our Financing Department Here At Castle Subaru Will Work to Ensure You Drive Home on Your Terms. 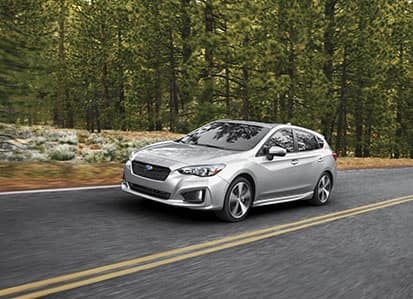 We know full well that buying a Subaru Outback, Forester, Crosstrek, Legacy or Impreza is one of the biggest and most important investments you can make. Here at Castle Subaru, our financial experts will guide you every step of the way to get you behind the wheel in a way that you’re completely comfortable with. Thanks to our wide selection of car loan and lease options to choose from, owning the car of dreams has never been easier. To get the most out of your vehicle in terms of a long-lasting and quality drive, our relationship with you here at Castle Subaru is going to be ongoing. That’s because we want to ensure your safety and driving efficiency via our onsite car service and repair center in Portage. We have the latest tools and equipment to diagnose, repair, and fix your automotive needs, and of course, we only use the highest quality of Subaru parts to keep your vehicle enjoyy high, and you enjoying a smooth drive no matter where you go. Feel free to stop into 5020 US Highway 6 in Portage, IN, where we are always eager to assist you. We can discuss vehicles here in our showroom, over the phone, or through our website. Getting to know all of you in the greater Valparaiso, Hammond, Gary and Chesterton, IN areas is always an enjoyable experience for us, so stop in during our scheduled business hours, where we can continue the conversation and answer any questions you might have.